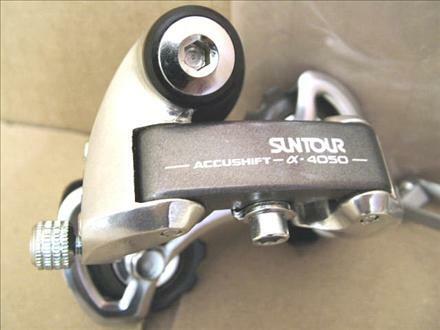 One of the 6sp Accushift derailleurs produced by SunTour during their race to catch up with Shimano in the indexed shifting race. Mid-to-Upper-range derailleur in their sport/rec offerings lineup. SunTour recommended a max cog size of 24t when using it in indexed mode, but will easily handle up to 28t in a friction shifting setup.